Was your weekend green too? This weekend was awesome! 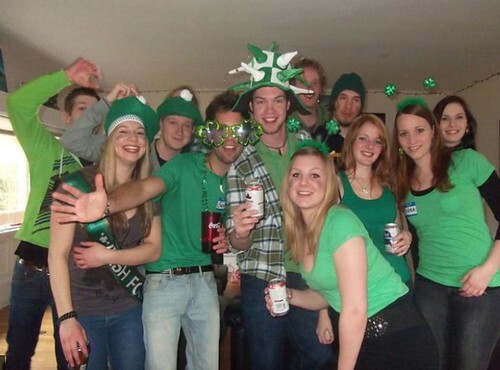 INTERNeX candidates and their friends joined the St. Patrick’s Day Club Crawl last Saturday. We started at The Blarney Stone with 49 people! The first people showing up got a free beer and everyone got free green accessories. After a good time at the Blarney Stone and after everyone arrived we were ready to go to the next place! We had our own INTERNeX Party Bus to bring us from club to club. This was one of the highlights of the evening! Driving through Dowtown Vancouver (and further) in a big yellow school bus with party music! After the Blarney Stone we went to Roxy, The Motel and Au Bar! At the Blarney Stone two of our candidates (Jeanette and Patrick) had to compete in a drinking game against two others. 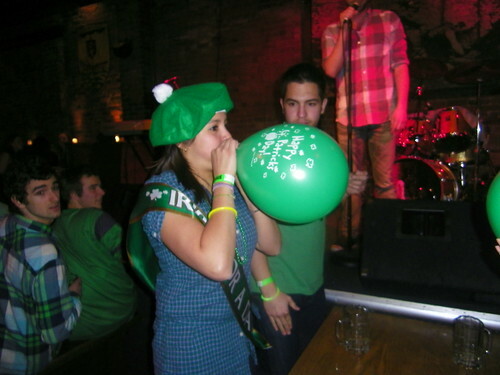 They both had to down a beer and after wards Jeanette had to blow up a balloon and whoever was faster would win tickets for the St. Paddy’s Party this Thursday and of course our INTERNeX candidates won!! We’re very proud! In Roxy’s they held a lottery which was won by a friend of our INTERNeX candidate Louisa, David. 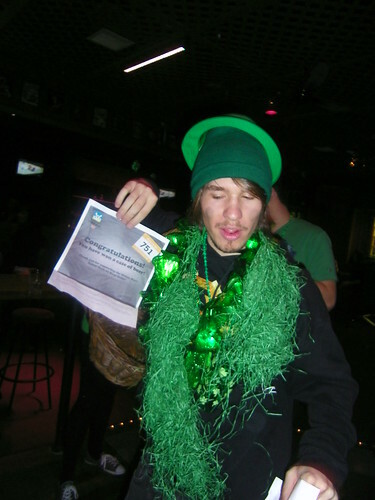 He won a lot of St. Patrick accessories and some free beers. Congratulations David!! If you would like to see more pictures of this AWESOME night! Please go to our Flickr account. Thanks for coming everyone, it was really great that such a big group was there, because the more people the more fun right?